This post offers a mostly spoiler-free review of Soarin’ Around the World, which debuted recently at Epcot and Disney California Adventure, comparing it to Soarin’ Over California, and providing general thoughts on the strengths and weaknesses of the attraction. If you want to get technical, it’s actually a review of Soaring Over the Horizon at Shanghai Disneyland, since I haven’t been on the new stateside Soarin’ attractions. They’re all the same, though, minus the pre-show and finale scene. Let’s start with the good: the core of the experience that made Soarin’ a new classic remains unchanged. The free flight simulation of soaring above the land and epic score still make this attraction a must-do. Those two things are the heart and soul of Soarin’, and are what made the original one of the best attractions of modern Imagineering. I don’t care if you swap the ride video out for “Soarin’ Over Indiana”, so long as the two core elements of Soarin’ remain, you have at least an 8/10 attraction. I think that’s important to keep in mind for the rest of this review. The starting pointing here is an 8/10 score, and can only go up from there. Yes, a 5-minute view of the Hoosier state’s golden cornfields swaying in the breeze with deer galloping across the frame might not go up much, but certainly flying over the world’s most beautiful and iconic places holds more potential than cornfields. That’s true in theory, and it’s true in practice. Some of the locations here are jaw-dropping, and you’ll have a “can’t believe your eyes” feeling marveling at some of the footage (I assume the same would hold true when seeing some of these places in real life). While I joke about the greatness of California, opting for locations that are far more grandiose and aspirational was a wise move. With no shortage of beautiful places in the world, it’s difficult to quibble over what was or wasn’t chosen here (especially since the Chinese government no doubt had some input on what could not be included). The problem is that the visuals in the Around the World incarnation of Soarin’ are a mixed bag in what is very much a departure from the documentarian style of Soarin’ Over California. Although it debuted in Epcot at Walt Disney World later, Soarin’ was a circa-2001 film from the opening of Disney California Adventure. Think back to the most visually-stunning nature documentaries you’ve seen. When I do that, almost everything that comes to mind is post-2000. I would say that Planet Earth (2007) redefined the concept, and raised the cinematographic bar in a number of ways. Disney has followed suit with its Disneynature series, and further advances in technology have made it easier for hobbyists to produce stunning films (just check out this time lapse by a pair of backpackers). Of course, Disney has the distinct advantage of incorporating its film into a theme park attraction, so no direct comparison can be made between Soarin’ and other travelogues that you just sit and watch. Nonetheless, it’s probably fair to say that the Imagineers didn’t want guests shrugging and saying, “I’ve seen better on YouTube” as they left Soarin’ Around the World. This is evident in the end product, and clearly more shooting was done during at the beginning and end of days when natural lighting is best, and less during the middle of the day when lighting is often flat. That’s definitely an improvement upon the original, with some footage that gave a surprisingly bland impression of places that are actually pretty stunning. It’s also demonstrated in post-production, where the film has a decidedly more polished, vibrant, and hyper-realistic look. As someone who similarly takes an aggressive approach to photo editing, I get the appeal of this. I also think such a punchy style with exaggerated detail doesn’t work in every setting. Photojournalists could never edit in such a manner because authenticity would be questioned. It’s fair to say a theme park attraction isn’t an exercise in journalism, but probably somewhere in between. Ideally, the visuals should push the envelope as far as they can without pulling guests out of the moment by questioning whether what they are looking at is real. There are several scenes in which this is not a noticeable issue during Soarin’ Around the World. Unfortunately, there are several places where it is a problem. Save for one glaring exception that I doubt was even filmed on location at all, this isn’t entire scenes. It is due to the addition of little details to the scene, such as people, boats, balloons, or–mostly–animals. I assume these are meant to be icing on the cake, but the visuals could have stood on their own without being “plussed” like this. On the plus side, the animals do provide transitions, the lack of which was a common complaint about the original Soarin’. This probably feels like a no-win scenario for Imagineering: people complained about the lack of transitions, and now people complain about contrived ones. It just feels like they went from one extreme to the other. There is one scene during the new Soarin’ where a visual symmetry approach was used to transition, and for me, that works incredibly well. Likewise, ascending into clouds and swooping out of them also works for transitions, and also reiterates the whole ‘hang gliding’ pretense of the attraction that has more or less been abandoned on everything except signage at this point. If you want overly critical, you could lament how the attraction doesn’t simulate hang gliding. The thing is, it’s close enough. (Probably?) I don’t think I’m going out on a limb or exaggerating with an estimate that 99%+ of Disney-goers has never gone hang gliding. If there were a Venn diagram of “hang gliding enthusiasts” and “Disney enthusiasts” not only would there be zero overlap, but the sets would be so diametrical that they’d have to be on different sheets of paper. Hang gliding is for thrill seekers who obtain a sense of exhilaration from participating in one of the world’s deadliest hobbies. Disney fans are exhilarated “racing” to Frozen Ever After at rope drop (mortality rate not yet available). Just as those bros who free-climbed El Capitan’s Dawn Wall aren’t going to the climbing walls at a local wall and complaining that the experience isn’t authentic, “famous” hang gliders aren’t complaining that Soarin’ isn’t the real deal. It’s not meant for them. It’s a simulation of free flight for us mortals within the theme park constraint of needing to be operationally efficient. From that perspective, it is most definitely “close enough.” In fact, the sensation of flying, coupled with that enchanting score and cool in-air visuals–no matter what the visuals–will always make Soarin’ a winner, even if it does have some shortcomings. Overall, Soarin’ Around the World retains the core elements that made its predecessor such a success with guests. In the sense that it doesn’t try to fix something that isn’t broken by altering the fundamental formula of what worked, I guess it’s a success. The thing is, I think we should have hoped for more than “don’t screw it up” with Soarin’ Around the World. I know it’s difficult for the rest of the world to stack up to California in terms of beauty, but there is a ton of natural beauty out there. So much CGI wasn’t necessary. The vast majority of guests will never see any of these places in their lifetimes–let alone fly over them–so why not let the majestic awe of that experience speak for itself? It’s disappointing that the Soarin’ Around the World team felt the need to get so heavy-handed with “producing” this attraction, but at the end of the day, it’s still an incredible, must-do experience at Epcot or Disney California Adventure. Even with all of my complaints, I’d still give this version a 9 or 9.5/10. Planning a Walt Disney World trip? Learn about hotels on our Walt Disney World Hotels Reviews page. For where to eat, read our Walt Disney World Restaurant Reviews. To save money on tickets or determine which type to buy, read our Tips for Saving Money on Walt Disney World Tickets post. Our What to Pack for Disney Trips post takes a unique look at clever items to take. For what to do and when to do it, our Walt Disney World Ride Guides will help. For Walt Disney World news, tips, discount info, and free eBook downloads sign up for our free monthly newsletter. Have you experienced Soarin’ Around the World? Do you agree or disagree with our assessment? What did you think of the original? Share any questions, tips, or additional thoughts you have in the comments! I just left Epcot and noticed the Soarin wait time to be 10 minutes at 2 in the afternoon. Ten minutes!!!!! That would have been unthinkable in the past! I waited 2 years to get on the new soarin because of having a new baby. I was so disappointed. The old soarin was so much superior that the new soaring is a complete joke. It was STUPID. You can always trust Disney to ruin another ride. Soarin’ over the world leaves us disappointed every time. Technically flawed. The original Soarin’ over California was fabulous. We have decided it is not worth even waiting in the fast pass line for now. As passport holders we go often and try to enjoy every part of both parks but unfortunately this is off the list of must do’s. I’m so glad to see I’m not alone in this! I was so, so, so excited for the new Soarin’, it was hands down my favorite ride in Disney and I thought this had to be spectacular. We left feeling like we’d seen an average tourist video. The polar bears in the beginning set my brain to wondering which of the others was CGI, taking me out of the experience. The transitions were unnecessarily in-your-face, and the smells were like perfume, not like anything natural. We also noticed the curves in the Eiffel Tower. It’s just lost the charm of the previous version! PLEASE … Make the original an option! 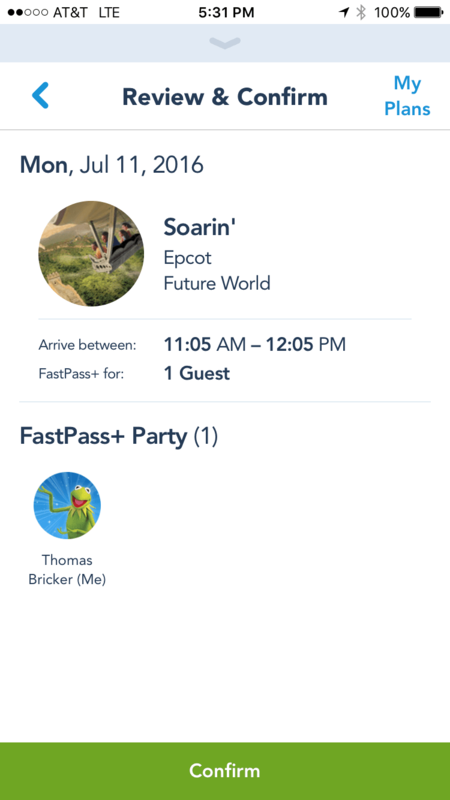 The new one is good , but the excitement just wasn’t there for me …., the main reason I go to EPCOT is for SOARIN 🙂 is it even possible to just make SOARIN the original a ride by itself in other cities… I pre fer Tampa! Have a bad day going on just go on SOARIN the original and it’s ALL GOOD just looking at the low standby times says a lot….. I agree completely. The CGI is over the top to the point where I questioned if anything was real. Also, the Eiffel Tower is terribly distorted if you aren’t dead-center. We saw it once from the far right and it was comically curved. We saw it once from the center and it was better, but still not quite right. I just went on this ride two days ago, and was sadly disappointed too. I don’t think it’s about nostalgia, but just how unrealistic it felt. Yes, as everyone pointed out, a little more than appropriate CGI, but also, some of the smells weren’t realistic. Yes, an orange grove actually smells like oranges, but the scene with the beach smelled almost like air freshener, not an actual beach. We went on last week, and left the ride disappointed. The CGI animals look good if you’re watching a Pixar movie, but look totally fake when they’re transposed on top of film footage. In fact, some of the scenes (especially the Taj Mahal scene), look 100% fake CGI. They’re Disney, could they not fork out some money to fly a helicopter with a real HD camera? I guess the only thing we should be surprised about is that the characters from “Frozen” didn’t magically appear on the snow-covered mountain scene. Also, the smells aren’t as good this time around. The original ride had the wonderful aroma of orange groves. This one has the smell of dirt kicked up by elephants in Africa. Yuk. They have multiple screens, guests should get the choice of the old film of the “new” fake film. I can’t really understand why WDI relied so heavily on CGI when Earth is literally covered with mesmerizing natural and engineered scenery. We’ll probably still enjoy Soarin’, just disappointed they chose acceptable over amazing. My hubby and I just returned from Epcot. I loved Soarin’ but had the same feeling that the CGI overpowered the actual shots to where I really thought the entire ride was indeed CGI. That said, I still thought it was so much fun and loved the entire ride. I would say this: if you go in the morning, you won’t need a fast pass. We chose it as a fast pass and didn’t need it as the wait time was only 15 minutes. We were able to choose a different fast pass while waiting in line. We also saw all the feet dangling above us, but that only made us laugh. The ride is worth it! It’s been a while since I was at WDW but my family just got back last week and my wife and I were very impressed with the new Soarin. Again, it’s been a while since we rode the old one (almost 11 years) but this new one had me in awe nearly the entire time. Yes some of the CGI did look like CGI but it wasn’t enough to take me out of the moment.